Reaper Wings Zipper Hoodie | BUDK.com - Knives & Swords At The Lowest Prices! 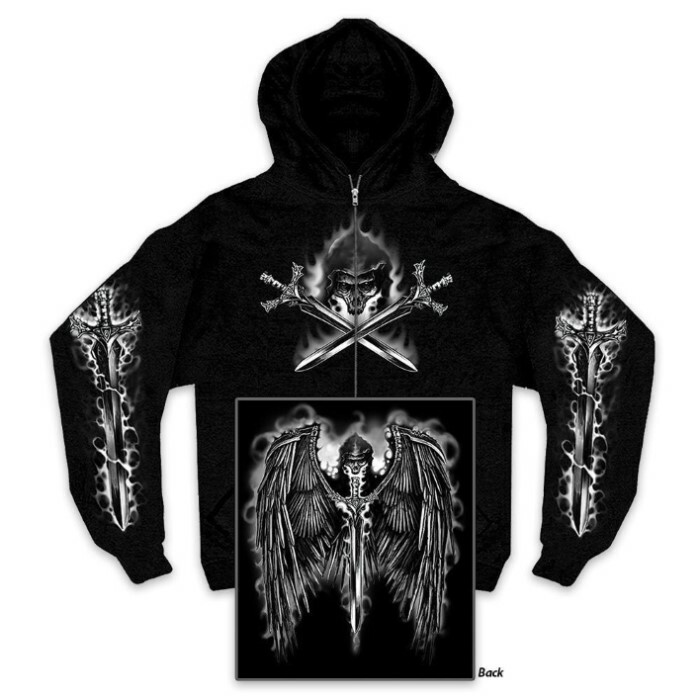 Stay warm and show off your personal sense of style with this Reaper Wings Zipper Hoodie. This black heavyweight cotton hoodie features eye-catching depictions of the winged reaper on the back, front and sleeves. It's sure to get you noticed.